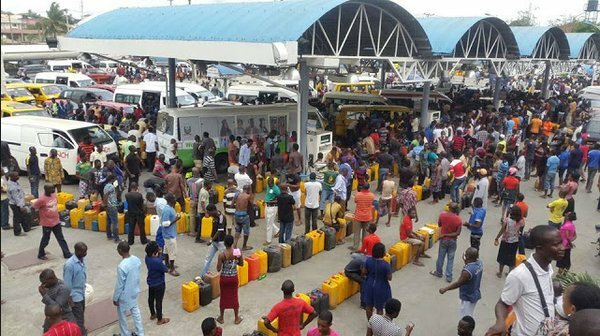 We would serve free petrol to motorists from stations hoarding it – NPMC – Royal Times of Nigeria. The Managing Director, Nigerian Product Marketing Company (NPMC), Umar Ajiya, on Wednesday, said they would confiscate and serve pertrol for free to motorist from filling stations found to be hoarding products. Ajiya said this after an inspection of six stations around the FCT in the company of other officials from Nigerian National Petroleum Corporation (NNPC). According to him, the disappearance of long queues in Abuja is as a result of hard work and effort between sister agencies – the NPMC, Petroleum Products Pricing Regulatory Agency (PPPRA), Department of Petroleum Resources (DPR), and security agencies. He said, “We moved our operations to 24 hours in all depots and affiliate retail stations. “Similarly, our majors have done the same in Abuja to complement our efforts. In addition, we increased our truck-out capacity to over 1,300 a day. As you can see, trucks are arriving at several stations. “We had also beefed up surveillance and directed to serve motorists free petrol confiscated from depots or filling stations found to be hoarding products. “We have a robust supply plan. Every day, we have a minimum of one ship arriving Nigeria. Today, we received two ships, tomorrow, we have a ship and the day after; we are expecting two ships, and that is the trajectory going forward until the end of the year. “One ship on the average carries 50 million litres and in our belief, average consumption in Nigeria is about 35 million litres. Once we sustain our current operations, we will not have this kind of situation,” the NPMC boss assured. He further assured that the DPR had asked its operators to go to depots and monitor prices and anyone caught selling above official rate should be penalised.